Total Workshop search results: 61. Displaying Page 1 of your woodworking search phrase DECK FURNITURE PLANS. 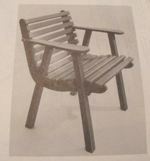 Use the free woodworking plans at the link to build a simple outdoor bench. Follow the step-by-step instructions at the link to build this outdoor bench. 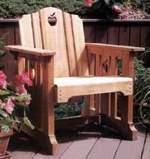 Build benches for your patio or deck adding lots of extra seating. 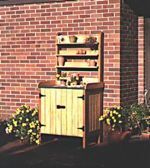 Use these free woodworking plans. Link Type: free plans | Link Source: PinkWhen | Visit the category | Fix Link?